Mumbai, July 19th, 2018: To bring Kullfi more close to its audiences’, StarPlus has come up with a unique campaign to spread happiness by just giving a missed call on 7039 000 000 and receive a call back with Kullfi’s favourite songs. 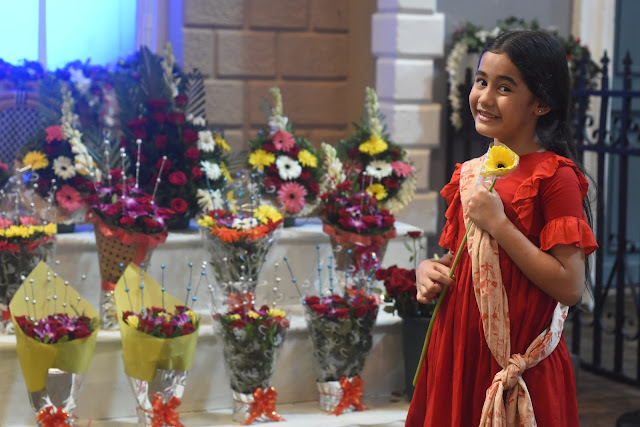 The much adored, Kullfi, from Kullfi Kumarr Bajewala is now ready to bring light up your lives with her songs. Kullfi is an extremely lively and energetic little girl who always has a smile on her face. We have witnessed a ‘musical’ drama of the singing prodigy, who sans being an untrained singer has the power to unite all with her melody. Gifted with an innocent voice, her distinctive ability to create songs out of any situation has proven to bring in happiness and positivity in a situation that one would consider bleak. Pick up the phone and listen to the little nightingale’s melodious voice. It will surely bring a smile to your face.